Ambler Trail - Devil's Den is a 0.55 mile one way hike with 164 feet accumulated elevation gain. Located 12 miles west-northwest of Bridgeport Connecticut. May and September are the best months to enjoy this hike. Overview: The Ambler Trail is one of the crown jewels of Devil's Den Preserve, traversing the Ambler Gorge as Ambler Brook creates several small cascades, and topping out at two ledges with wintertime views. 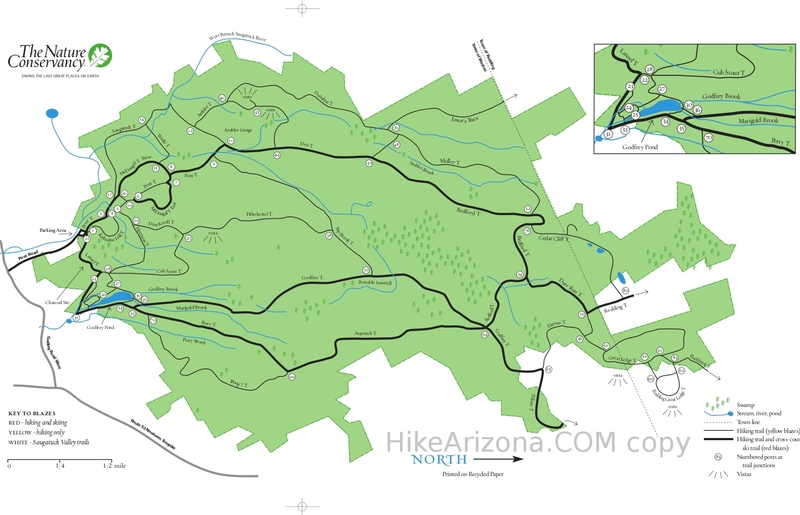 It connects to the Den Trail (post #44) and the Donahue Trail (post #46).